Catch the first rays of sun each morning through the large windows of the romantic bedroom in the upper-level Morning Glory Suite. Shaker-inspired, oak and ash furniture, such as the Queen size spindle bed, dresser, nightstands, and desk add to the lightness of this entire suite. 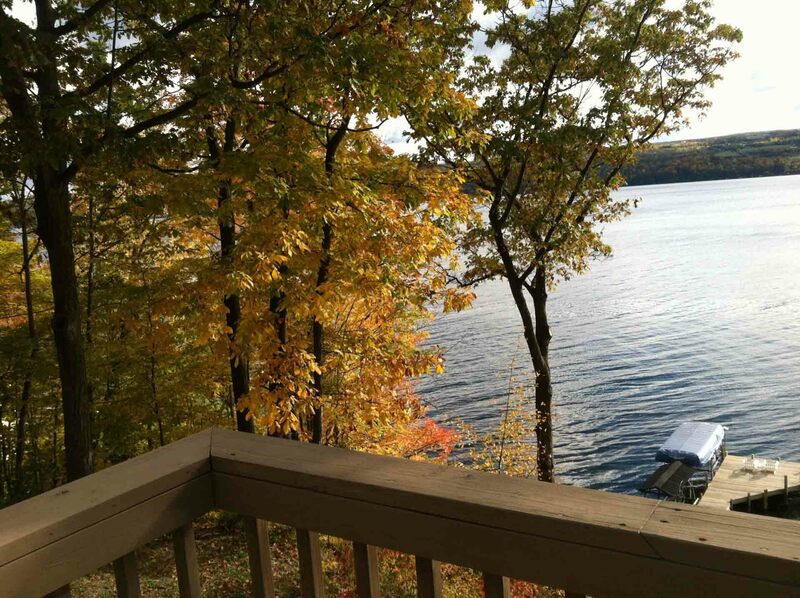 Enjoy moments on the private balcony overlooking the lake, or lounge, read or watch TV in the attached sitting room. A pullout sofa bed, satellite TV/DVD player, and compact refrigerator add to the suite, and a private bath with shower adjoins the bedroom. Whether you enjoy an early rise or are a late riser, you will enjoy the Morning Glory Suite as your home away from home on Seneca Lake. 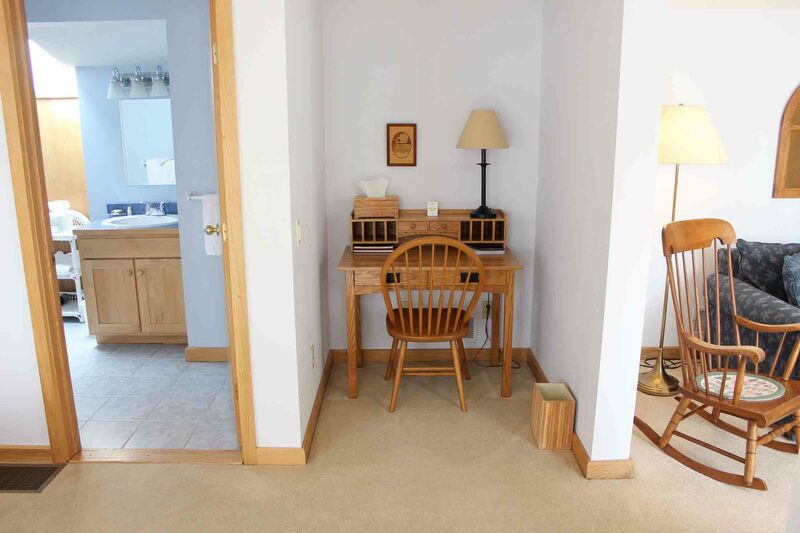 $205 per night for two – $30 additional for third person in suite. 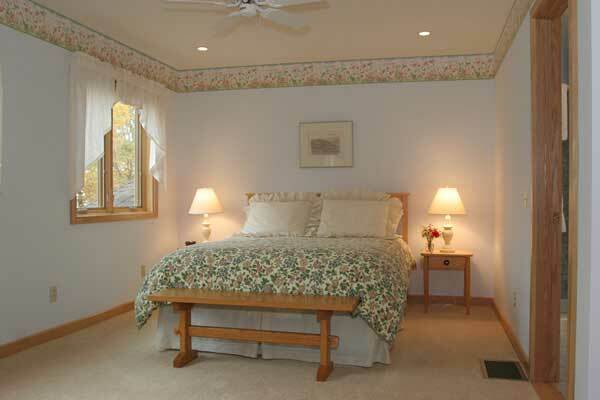 Our returning bed and breakfast guests receive a $15 per night discount. 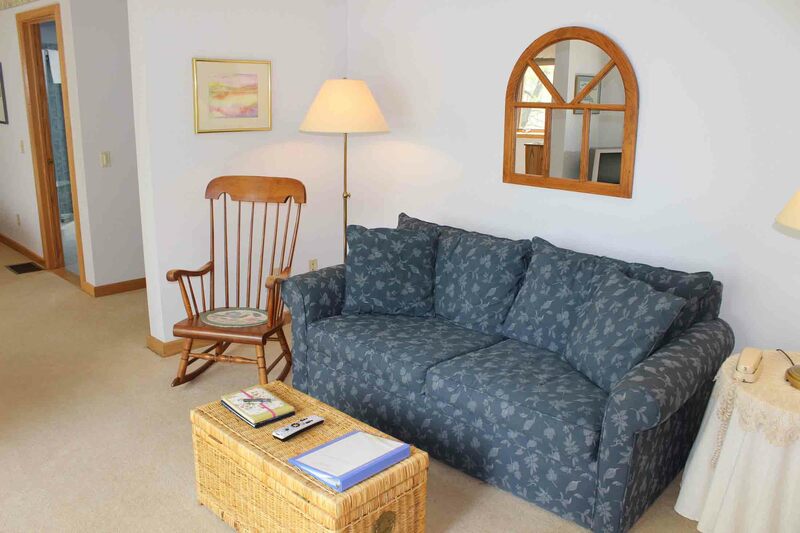 Check out our packages and specials page, and note it on your on-line reservation, or give us a call at 607 243-7548. We can also create a custom package just for you.